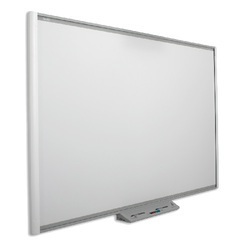 Prominent & Leading Manufacturer from Chennai, we offer smart board sbm680i6, smart board sb480, smart boart sbm680, smart board sbm685, smart board sb880i6 and promethean interactive board. 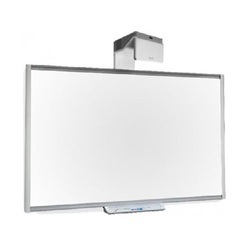 Combines SMART Board interactive whiteboard and a projector. All HDMI 1.4 inputs are HDCP compliant. 4:3 with support for 16:9, 16:10 and 5:4 with scaling. 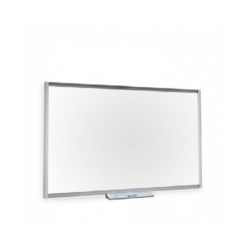 The projection engine uses DLP® technology by Texas Instruments™, providing BrilliantColor™ performance and quality Gamma 2.2 correction with Bright Room, Dark Room, sRGB, User and SMART Presentation modes. 3000 hours in Standard 230 W mode. 4000 hours in Economy 190 W mode. HDTV (720p and 1080p) video system compatibility and HD Ready (HDMI technology and 720p) available, NTSC, NTSC 4:43, PAL, PAL-N, PAL-M and SECAM (480i/p and 576i/p). HDCP compliant HDMI, Composite, VESA® RGB with additional interface support for Component YPbPr and Component YCbCr inputs with the proper adapters (not included). Infrared remote control, RS-232 control port, internal web page, Crestron RoomView management via Ethernet. Write in digital ink over applications, websites and videos. 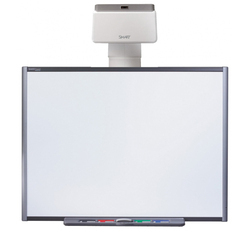 SMART Product Drivers and SMART Notebook™ collaborative learning software installation CDs are included. Windows® operating systems and Linux® operating systems. Obtains power from the computer through the USB cable for Windows® and Linux® computers. Power consumption is less than 0.5 W (100 mA at 5 V). Includes a 5m (16') USB 2.0 cable to connect to the room computer. 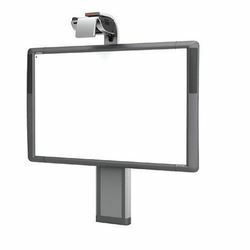 Your SMART Board M680 interactive whiteboard supports one computer connection on a primary display only. 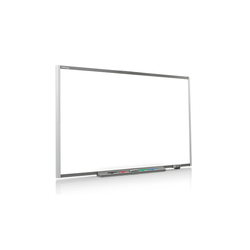 87" diagonally and 16:10 aspect ratio. 2500 hours in Standard 230 W mode. 4000 hours in Economy 190 W mode. 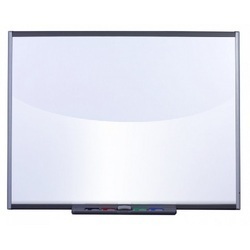 Looking for Interactive Whiteboards ?